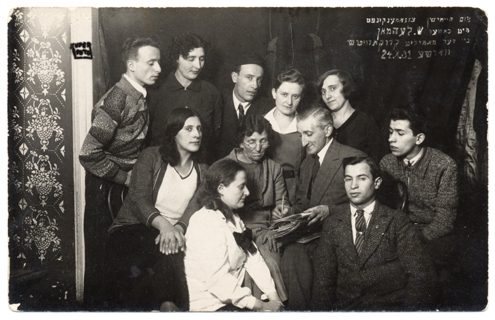 Members of YIVO's Aspirantur (graduate studies program), Vilna, 1939. The YIVO Institute for Jewish Research (Yiddish: Yidisher Visnshaftlekher Institut) was founded in 1925 in Vilna, Poland. Its objective was to be an academic research, training and resource center in specializing in the history and culture of Ashkenazic Jewry with emphasis on East European Jews and their descendants in the United States. Today the YIVO Institute, a voluntary, independent, membership organization is located at the Center for Jewish History on 16th Street in New York City. YIVO maintains a library and archives, provides academic training at the Max Weinreich Center for Advanced Jewish Studies, conducts research projects, and issues scholarly publications. Through its variety of offerings, YIVO is an invaluable resource for the Jewish community in the United States and around the world. The YIVO Library contains over 360,000 books and periodicals. The YIVO Archives holds close to 23 million manuscripts, documents, photographs, sound recordings, art works, films, posters, and artifacts. Together, the YIVO Library and Archives comprise the world's preeminent repository of Jewish historical and cultural documentation on the experience of East European Jewry and their descendants in the United States and elsewhere. The richness of its collections, and its potential as a resource center for the community in general have established YIVO's importance in the world of Jewish scholarship. From its earliest years in Vilna, YIVO Archives followed a policy of seeking out and gathering contemporaneous records as well as documents of the more distant past. The results of this policy was the accumulation of a vast and rich documentation that reflects the layers of time and bears witness to the unfolding of events in the general movement of Jewish history. On the one hand, readers will discover historical records that document broad and sweeping developments in the Jewish world. On the other hand, they will also find materials that in minute detail describe daily life, work, learning culture, religious observance, changing traditions, politics and more. Through the Milstein Family Communal Project, YIVO continues its long tradition of making resources concerning Eastern European Jewish life available to the community and to researchers through the Milstein Family Communal Project. The YIVO continues to add to its large number of collections relating to Jewish communal life in New York. YIVO, founded in 1925 in the city of Vilna, aimed to serve as a center for organized research into all aspects of Jewish history and culture; to train Jewish scholars; to gather library and archival source material relevant to YlVO's scholarly objectives; and to develop a broad base of support for the Institute in Jewish communities around the world. In the fifteen years between its establishment and destruction by the Nazis in 1941, YIVO experienced rapid growth and earned great respect as a leading center for the Jewish humanities. In Poland, YIVO became an authority in all matters concerning Yiddish culture. Association with YIVO was sought after not only by scholars but also by great numbers of people from all walks of life, who saw their work for YIVO as a fulfillment of their higher aspirations. In the 1920s and 1930s Societies of Friends of YIVO existed in Poland, the Baltics, Germany, France, England, North and South America, South Africa, and Palestine. The American branch of YIVO was organized as early as 1926. YIVO involved its large numbers of societies and friends in collecting publications and documentation for its library and archives, participating in research surveys and field work, and organizing fundraising events. The YlVO volunteer zamlers, or collectors who engaged in searching for valuable documentation and sending it to YIVO, carried out historical arid economic surveys, gathered oral folklore and linguistic samples, and conducted field work needed for various research projects. The main objective in these collecting activities was to create a solid documentary base for the study of contemporary Jewish life. YIVO focused its interest on the Jewish present, on the political and economic conditions of the Jewish populations of Eastern Europe during the critical inter-war period. After the outbreak of the Second World War, YIVO continued its work in Vilna, at first under Lithuanian and later under Soviet rule. Gradually, the Institute was merged into the Soviet cultural system and was forced to conduct its work in accordance with the new ideology. Many changes were made, as Moishe Lerer, Zalman Reisen, Zelig Kalnanovitch, and Noah Prylucki, leaders of the YIVO, were removed from their posts. Despite all these changes, the YIVO Library and Archives were left intact by the Soviet authorities. The library was even substantially enlarged by the addition of 20,000 new volumes. With the outbreak of the Soviet-German war in June 1941, and the subsequent occupation of Vilna by the Nazis, the existence of the YIVO Institute in Vilna came to an end. Its collections were either dispersed or sent to Germany. The YIVO staff incarcerated in the Vilna Ghetto met their deaths prior to or during the final liquidation of the ghetto. Yet this was not to be the end of YIVO. The Institute was revived in New York by the members of the Central Board who had escaped from Nazi-occupied Europe, and by the leaders of the American branch of YIVO. The group included Max Weinreich, Elias Tcherikower, Jacob Lestschinsky, Leibush Lehrer, Shmuel Niger, Jacob Shatzky, and Naphtali Feinerman. In a statement issued in 1940, they declared the re-establishment of YIVO in New York, since "normal communications with the Institute in Vilna have been cut off." The American branch of YIVO, known as Amopteyl (Amerikaner Opteyl or American Section), was organized as early as 1926. It provided the initial organizational framework for the renewed Institute. In 1935 the Amopteyl had founded the Central Jewish Library and Archives (CJLA). In 1940 the Library had about 15,000 volumes and an undetermined number of archival collections. The CJLA became a part of YIVO when the Institute was inaugurated on American soil. From the beginning YIVO strove to maintain its teaching component, the Aspirantur (Research and Training Division), begun in Vilna, was reconstituted as the New York Aspirantur the 1941 - 42 academic year but because of the war, the program had to be discontinued after several semesters. The goal of establishing a permanent graduate studies department at YIVO was achieved in 1969 when the Max Weinreich Center for Advanced Jewish Studies was inaugurated. Adhering to its original principles, YIVO continues to occupy a prominent position in the study of the history and culture of East and Central European Jewry and in the collection and preservation of related documentary sources. It emphasizes research into the influence of the East European Jewish heritage on the development of the American Jewish community, and encourages general studies in Jewish Americana during the mass immigration and post-immigration periods. Finally, YIVO has emerged since the war as a resource and research center for the study of the Holocaust and its aftermath. Every effort has been made to reconstruct the holdings of YIVO from its Vilna period; those holdings which had survived the war were hidden or dispersed. Parts of these collections have been saved and are available for research at the YIVO. They were reassembled and findings aids are available for many of them. Ethnographic, economic, folklore, education, theater are among the collections now available. The photographic collection begun in Vilna has been greatly expanded in New York. The Esther Rachel Kaminska Theater Museum, established in 1928, became the recipient of many theatrical collections, including the personal papers of Esther Rachel Kaminska and the records of the Jewish Actors Union in Poland. The archival collections of YIVO's Historical Section which remained in the personal possession of Elias Tcherikower, the Section's chairman, were returned to YIVO after the war. Tcherikower lived in Berlin from 1920 until 1933, and in Paris until 1940, and the collections "traveled" with him. Following the Nazi occupation of France, these records were placed in hiding in southern France. In 1990, YlVO was advised that parts of its pre-war library and archives had been found hidden among the Lithuania collections of the State Bibliographic Center. Five years of long and difficult negotiations with the Lithuanian authorities for the return of these collections to YIVO in New York finally yielded positive results. According to an agreement with the General Directorate of the Lithuanian Archives signed in December 1994, the YIVO archival collections were sent toYIVO in New York for processing, preservation, and photocopying. The originals were then returned to Vilnius and YIVO retains the photocopies. The agreement also calls for microfilming of the YIVO library materials in Vilna proper and for placing of the microfilms in the YIVO Library. The YIVO Institute is committed to locating and arranging for the return of all of its collections from the pre-war period. It will therefore continue searching for the missing portions of its archives wherever they may be. In 1938 the Central Jewish Library and Archives, the predecessor of the YIVO Library in New York, began accessioning literary manuscripts and institutional records. In 1940 Rebecca (Riva) Tcherikower was appointed the first YIVO Archivist. The Archives, however, remained a part of the YIVO Library until about 1953 when these two departments became independent of each other. Initially, the goal of the YIVO Archives in New York was to collect documents on Yiddish culture and on the Yiddish-speaking milieu in America. But soon its mission was significantly broadened. As the war progressed and the extent of the Jewish catastrophe in Europe became clear, the YIVO Archives widened its responsibilities to include documentation on the life and death of the destroyed communities of Europe. Efforts to rescue the remnants of Jewish archives in Europe gained prominence. With the passing of time, the YIVO Archives became a documentation center on both East European and American Jewry. The growth of the YIVO Archives can be credited in great measure to the many outreach programs that were conducted over the years. Already in Vilna, YIVO was known as an "active" collector which organized special collecting campaigns around specific goals or topics. This method was adapted in New York and it proved most useful in enlarging the Archives in a purposeful way. The first two such initiatives were indicative of YIVO's new direction. An immigrant autobiography contest was organized in 1942 with the aim of establishing YIVO as a research center for the history of Jewish immigration to America. The purpose of a second initiative, the "Museum of the Homes of the Past" project, announced in 1943,was to encourage American Jews to deposit personal papers, iconographic records, and memorabilia that would document the vanished world of East European Jewry. Between 1945 and 1954 YIVO was involved in a project to create the "Archives on Jewish Life Under the Nazis." 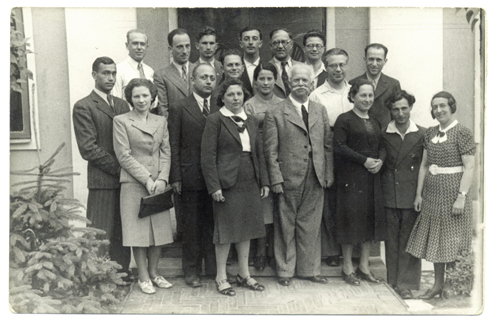 For this purpose, a network of collectors was organized which included pre-war YIVO zamlers who had survived the war and were living in the DP (displaced persons) camps, Jewish chaplains and soldiers in the U.S. Army, and staff members of Jewish relief organizations assigned to the European theater. YIVO envoys were sent to Europe to coordinate collecting activities. YIVO collectors' groups were organized in 595 localities spanning a wide territorial area, from Bergen-Belsen to Shanghai. As a result of this campaign the archive on the Holocaust and its aftermath was assembled. The Archive included documents from ghettos, records of Nazi government agencies, records of wartime Jewish organizations, eyewitness accounts, records of the DP camps, and pictorial materials. In 1950 YIVO initiated a collecting campaign which turned once again to the theme of contemporary Jewish life. The intention was to establish a central archives on the history of the Jews in the United States, with emphasis on the period of mass immigration, from the l880s to 1924. In conceptualizing this goal, it was pointed out that American-Jewish historiography had hitherto been largely limited to studies of Jewish life in America prior to 1880. This excluded from consideration an important segment of American Jewry, that is, immigrant Jews from Eastern Europe. YIVO planned to locate available records of the American Jewish past, once again with the assistance of a collectors' network, and to secure these records for its Archives. This ambitious concept was realized in part, by acquiring the records of several American Jewish relief agencies dealing with Jewish immigration to the United States. Although YIVO had correctly appraised the situation in Jewish scholarship and had drawn the right conclusion about the need for a national Jewish archival institution, it did not possess enough means to meet this great challenge. Still, the creation of a vast immigration archive marked a turning point in the history of the YIVO Archives. YIVO's readiness to accept and accommodate large institutional archives has met with a positive response from the organized Jewish community. From the 1950s to the present the YIVO Archives has received a steady stream of records from many leading American Jewish organizations such as the Hebrew Immigrant Aid Society (HIAS), the Joint Distribution Committee (JDC), the Workmen's Circle, the Educational Alliance, and the American Jewish Committee (AJC). In 1992 the Jewish Labor Bund in New York resolved to transfer the Bund Archives of the Jewish Labor Movement to the YIVO Archives. The Bund Archives had been gathering materials on Jewish socialist movements since its inception in Geneva in 1899, and its numerous collections add a new dimension to the YIVO Archives. From 1979 to 1983 a Landsmanshaftn Project was conducted with highly successful results. During this period, YIVO located and placed in its Archives records of over 700 landsmanshaftn, which are now organized in 300 record groups. These records document the history of immigrant mutual aid societies in the New York area during the past hundred years. Several outreach programs to collect historical photographs resulted in enhancing the photographic collections. Two of these projects, one focusing on Polish Jewry (conducted 1970-75) and the other on Russian and Soviet Jewry (conducted 1985-88), succeeded in greatly enriching the territorial photographic collections on Poland and Russia. These collection projects also resulted in the staging of major traveling exhibitions, the publication of historical photographic albums, and the production of a documentary film (Image Before My Eyes). In addition to its outreach collecting projects, the YIVO Archives regularly acquires papers, records, and memorabilia offered by numerous donors on a broad range of topics relating to the history and culture of East European and American Jewry. Over the years the YIVO Archives has become an established repository of primary sources in the Jewish humanities, preserving and providing access to a collection that is central to studying the past and the present of the Jewish people. Shmuel Lehman with a circle of folklore zamlers (collectors), Warsaw, 1931. The following collections are available for use at YIVO. Records, 1918 - 1970s (bulk ca. 1930-1970s). Organization founded in 1906 in New York by 34 prominent American Jews to defend Jewish civil and religious rights throughout the world. The original founders included Louis Marshall, Judge Mayer Sulzberger, Jacob Schiff and Cyrus Adler. Judge Sulzberger was elected first president of the committee and served in that capacity until 1912. Among those who succeeded him were Louis Marshall, 1912-1929; Cyrus Adler, 1929-1940; Joseph Proskauer, 1943-1949; Jacob Blaustein, 1949-1954; Morris B. Abram, 1964-1968; Arthur J. Goldberg, 1968-1969. The chief executive officer of the AJC was the Secretary, later renamed the Executive Vice President. Among those who occupied this position were: Herbert Friedenwald, 1906-1912; Herman Bernstein, 1913-1914; Morris D. Waldman, 1926-1943; John Slawson, 1943-1967. The AJC is governed by the National Executive Council and administered by the AJC Executive Committee. Headquarters are in New York with regional offices throughout the U.S. There is also an office in Jerusalem. Current membership is estimated at 50,000. At the outset, the AJC consisted of a small select group who interceded on behalf of Jews, privately and discreetly, in the traditional style of personal diplomacy. In 1907 and 1913 the AJC lobbied for a liberal American immigration policy and fought against the literacy test requirement for immigrants. In 1911 it campaigned successfully for the abrogation of the Russo-American Treaty of 1832 because of violations of Jewish rights in Tsarist Russia. At the Paris Peace Conference of 1919 the work of Julian Mack, Louis Marshall and Cyrus Adler was influential in securing minority rights for Jews. In the 1920s the AJC conducted a public relations campaign against Henry Ford's publication of the *Protocols of the Elders of Zion* in the *Dearborn Independent*. In the 1930s the AJC began to widen its membership. By the 1940s the structure and approach of the AJC had undergone a fundamental change. The private diplomacy approach was supported more and more by organized educational and public relations programs, including an increasing number of scholarly studies and publications on antisemitism, civil and religious rights, interracial and intercultural relations. With the rise of pro-Nazi and antisemitic groups in the United States the AJC campaigned against these movements, carrying out studies on Nazi activities and publicizing some of their findings in newspapers and magazines. In addition, the AJC studied conditions in various countries for their potential as havens for Jewish refugees from Europe. During subsequent decades, the AJC continued its lobbying activities and public relations and educational programs, strengthening its research staff and promoting studies about bigotry, cultural diversity, intergroup cooperation and intercultural education. The AJC was particularly active in the civil and human rights areas, supporting legislation and court decisions addressing racial and religious discrimination in employment, higher education and housing. In 1951, the AJC published the 5 volume Studies In Prejudice. The Committee also publishes the monthly magazine *Commentary* and co-sponsors the annual publication of the *American Jewish Year Book*. The Records deposited in the YIVO Archives include select records series from the Records of the American Jewish Committee. The records consist of correspondence, minutes and reports of executive offices, departments, local offices and chapters of the Committee. Series not deposited at the YIVO are at the Jacob Blaustein Library of the American Jewish Committee in New York. An *Inventory of Records of the American Jewish Committee*, 1906-1980, by Seymour J. Pomrenze, was published by the AJC. The *Inventory* describes the entire AJC records including the records currently at the Blaustein Library and those at the YIVO Institute. In addition, there are unpublished finding aids to select record subgroups deposited at the YIVO. AJC COMMUNITY SERVICES AND MEMBERSHIP DEPARTMENT (CSD). 1944 - 1971. This department is responsible for implementing AJC policies and programs in local communities, chapters and field offices. The departmental files are arranged by local office. YIVO has files from the following offices: Atlanta, 1953-1968; Boston, 1947-1968; Chicago and Milwaukee, 1944-1971; Cleveland, 1950-1970; Newark, 1947-1964; San Francisco, 1946-1966; White Plains (for Westchester, Upstate New York), 1955-1968. Morris Waldman was the AJC Secretary, 1928-1943 and its Executive Vice-President, 1943-1944. Correspondence, reports, studies, statements, minutes of meetings, memoranda, speeches, and other papers. Portions of the Waldman files deal with Jewish affairs in foreign countries, especially Germany, Latin America, Poland and Rumania. These include: petitions to the League of Nations on behalf of Jews; AJC relations with the British Joint Foreign Committee and Neville Laski; problems of Jewish reconstruction after World War II; the San Francisco Conference of 1945, and creation of the U.N.; Jewish immigration and efforts to rescue Jewish refugees; AJC involvement in Zionist affairs, Palestine as a Jewish homeland, the partition of Palestine, the Jewish Agency, and related matters. Still other segments of the Waldman files pertain to AJC domestic programs and contain papers on Nazism and Nazi propaganda in the United States. Materials on AJC efforts to combat antisemitism, including AJC actions in denouncing the *Protocols of the Elders of Zion*, Father Charles E. Coughlin's activities, and Jewish-communist relationships. Materials on AJC interreligious activities, including Catholic-Jewish relations. Additionally, there are minutes of meetings, reports, statements, and other papers on the work of AJC with the General Jewish Council. Reports, minutes of meetings, correspondence, and other papers relating to the AJC Survey Committee. Correspondence and other papers pertaining to AJC relations with the American Jewish Congress, World Jewish Congress, American Jewish Conference, Anti-Defamation League, B'nai B'rith, Council of Jewish Federations and Welfare Funds, Service Bureau for Jewish Education, United States governmental agencies. Correspondence, plans, studies, reports, and other papers on AJC administrative matters, such as AJC organization, programs and policies (including AJC historical data), fundraising, field offices, and staffing. Until 1964, the records retention at the AJC was based on maintaining centralized files to accomodate and group together materials from various departments in a pre-arranged sequence. These Central Files - now called General Records - were closed in 1962 when the AJC reverted to a system of departmental record groups. This series consists of materials filed in alphabetical topical files. Main subjects include: agriculture, antisemitism, bigotry and prejudice, business and industry, executive employment, censorship, children and youth, church-state, civil liberties and rights, community relations, discrimination, education, employment, extremism, genocide, hate and violence, housing, human rights, immigration, integration, inter-group relations, international affairs, interreligious affairs, Jewish communal affairs, Jews and Judaism, labor, mass media, political philosophies, race-relations, religion, restitution, social discrimination, the South, statelessness, veterans, war and peace, women, Zionism. These and other main subjects are further subdivided into secondary subjects. This series consists of materials from various AJC departments concerning the AJC's relationship with individuals and organizations. The records are arranged alphabetically by name. Correspondence, reports, and other papers on a variety of subjects, arranged by state and localities thereunder. Admission to colleges and universities, adoption laws, antisemitism, the arts. Baccalaureate services, bible distribution/reading, bigotry and prejudice, business practices. Capital punishment, children/youth, church/state, civil liberties, civil rights, colleges and universities, communism, community relations. Discussion groups. Education, elections, emergency defense, employment and fair employment opportunities practices. Foreign affairs, fraternities/sororities. Hate groups/literature, higher education, holiday observances, hospitals, human rights. Insurance policies, integration, intergroup relations, interreligious affairs. Jewish community councils, Jewish federation/welfare funds. Labor, loyalty/security. Mass media, medical/dental schools, minorities, moral and spiritual values, motion pictures. Passion plays, pledge of allegiance, police practices/training, politics, prayers, professional societies, program appraisal/planning, public accommodations, public schools. Race relations, radio/television, refugees, relationship with organizations/groups, released time, religion and religious beliefs, religion and schools, resort advertising. Saturday school sessions, school-community relations, scientific evaluations, *shehitah* (ritual slaughter), social discrimination, Sunday closing, surveys of communities/programs. Tax exemption. Universities. Veterans programs, violence, visits by AJC representatives and other persons. Youth activities. Noteworthy are: reports of visits by AJC representatives to specific communities, describing local conditions and covering other matters of AJC interest; reports relating to Joint Defense Appeal fundraising efforts; correspondence, reports, and other papers on the origin and development of AJC field offices; correspondence, legal briefs, and other papers on "cases" in which AJC was involved as amicus curiae or otherwise, pertaining to such matters as civil liberties/civil rights, education, employment, housing, and public accommodations, and background materials on specific cases; correspondence and other papers on relationships between local AJC officials and those of kindred local Jewish and other organizations; and other papers of significance to local Jewish communities. AMERICAN JEWISH JOINT DISTRIBUTION COMMITTEE. An organization, with headquarters in New York, active since 1914 in relief programs for Jewish communities around the world. Founded during World War I to help Jews suffering from the ravages of war, the AJDC represented the concerted efforts of three separate Jewish organizations. These were the American Jewish Relief Committee founded by prominent Jews of German background; the Central Relief, founded by Orthodox leaders; and the People's Relief, representing labor. In the post-World War I period the JDC, as it was popularly called, provided financial support, distributed food, set up health-care institutions and schools, created interest-free loan societies and supported Jewish local and international service organizations in Europe and Palestine. Following the revolution and the civil war in Russia, 1917-1920, the JDC joined the American Relief Administration in 1920 to improve living conditions for impoverished Jewish masses inside the Soviet Union. In 1924 the JDC formed a separate organization, called the American-Jewish Joint Agricultural Corporation (also known as the Agro-Joint), to continue its work in the Soviet Union. The Agro-Joint carried out its activities in the U.S.S.R. until 1939. In 1924, the JDC, together with the Jewish Colonization Association, founded the American Joint Reconstruction Foundation to help rebuild the economy in Eastern Europe through the establishment of cooperative credit institutions and savings banks. 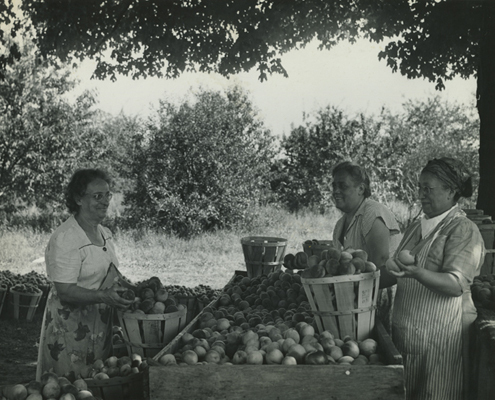 By 1931, over 700 loan cooperatives were being supported by the AJRF. Between 1945 and 1952, the JDC concentrated its efforts on aiding displaced persons in the camps in Germany, Austria and Italy, as well as on providing transportation costs for Jews immigrating to Israel. From the 1950s through the 1970s, the JDC maintained programs in North Africa, Israel, Europe and Latin America. This department was established during World War II, initially under the name Transmigration Bureau, to deal with individual cases of immigrants who applied to AJDC for help. After the war the Transmigration Bureau's accounting section was merged with the AJDC Accounting Department, while the Personal Service Department took over general migration matters. The department was headed by Reta L. Stein. In 1954, following the merger of HIAS and USNA into the United HIAS Service (UHS), the AJDC Personal Service Department was incorporated into the UHS and all its files were transferred to the new organization. Individual case files: correspondence with individuals and their relatives, and organizations such as USNA and HIAS. Migration materials arranged by countries: Argentina, Australia, Germany, Israel. General migration material. Files of the American Council of Voluntary Agencies for Foreign Service. Files on the following topics: immigration under the DP Act; relations with the HIAS; McCarran Immigration Act; President's Escape Program. Established in 1921 to help refugees and World War I survivors from Eastern Europe locate relatives in the United States and other countries. The records consist of questionnaires filled out by people wishing to locate relatives in the United States. Records, 1937 - 1940, 1945 - 1950. Created in New York in 1919 to solicit aid from *landsmanshaftn* for their hometowns in Eastern Europe. Discontinued in 1924. Revived in 1937 in connection with the JDC reconstruction program. After World War II the Landsmanshaftn Department continued its relief work for survivors in Eastern Europe. Activities included immigrant aid and location of survivors. Records of the Landsmanshaftn Fraternal Division, 1937-1940. Correspondence, inter-office memoranda of Henrietta Buchman, JDC Assistant Executive Secretary, and Norman V. Gilmovsky, Landsmanshaftn Department head. Communications from local organizations and officials in Poland and other European countries. Post-World War II records, 1945-1950. Includes general correspondence and inter-office memoranda of Louis H. Sobel, JDC Assistant Executive Secretary and Solomon Tarshansky, Landsmanshaftn Department head. Correspondence with *landsmanshaftn*. Reports from survivor groups in Europe. Lists of survivors. ASSOCIATION FOR JEWISH FARM SETTLEMENTS. An organization in New York formed to create a Jewish agricultural colony for unemployed workers. Chaim Zhitlowsky was its honorary chairman. Circulars and correspondence relating to organizational activities. Materials relating to the convention of 1933. Financial materials. Lists of candidates for colony membership, resolutions, by-laws, minutes of meetings. ASSOCIATION FOR THE CARE OF THE AGED AND INFIRM (NEW YORK). Minutes of Association meetings, 1936-1938, 1939, 1943. Minutes of the Superintendents Committee, 1935-1938, 1939-1941. Reports, cases and circulars of the Social Workers Committee. General correspondence of the Association, 1937-1943. ASSOCIATION OF JEWISH COMMUNITY RELATIONS WORKERS. Correspondence, financial records, minutes, reports and printed material relating to the organization and activities of the AJCRW. Materials relating to the creation of the AJCRW, annual meetings, conferences. Materials on membership, constitution, Executive Committee. Budget and financial reports. President's reports. Correspondence and reports from Boston and Philadelphia offices. Publicity materials and materials relating to publications of AJCRW. Cultural and educational institution in New York's Lower East Side, established in 1889 to promote Americanization of Jewish immigrants. Since 1924 has been operating as a community center. Minutes of Education Alliance administrative and steering committees, correspondence of lay leaders and administration officials, general administration records. Correspondence, reports and other records of various Education Alliance divisions, clubs, classes, summer camps. Materials relating to : Baron de Hirsch School, Legal Aid Bureau, 1931-1939; Stuyvesant Neighborhood House, 1919-1950; Art School, 1920s-1950s; Youth Division; Young Adult Division; People's Synagogue, School of Religious Work; New York School of Social Work; New York University Survey "The Lower East Side", 1950s. A photograph series depicts the Education Alliance building, camps, groups and clubs, individuals, English classes, gym classes, 1896-1962, Education Alliance Art School. Card inventory to the photographs. The German Jewish Children's Aid was established in the U.S. in 1934 to receive and place Jewish refugee children from Nazi Germany. The GJCA negotiated with the U.S. government for the admission of a limited number of children within the quota law. It guaranteed financial support, worked with local community agencies to find foster homes, met the children at the port of entry and transferred them to their new places of residence. The Board of Directors included: Joseph Proskauer, Solomon Lowenstein, Max Kohler, Joseph Hyman, Paul Felix Warburg, Jacob Billikopf. The Executive Director was Cecilia Razovsky. Lotte Marcuse was Director of Placements. The GJCA was affiliated with the National Coordinating Committee, National Refugee Service and USNA. It received financial support from the National Council of Jewish Women. In 1942 the GJCA became the European Jewish Children's Aid. The records of the GJCA relate to the entire range of activities involved in receiving and placing refugee children from 1933 through the 1950s. The later materials are records of the European Jewish Children's Aid. Activities included: maintaining the reception center in New Jersey; transportation arrangements; placement in homes; issuing affidavits and passports; granting scholarships; naturalization of children; setting of GJCA policy. By-laws, minutes, reports, correspondence and certificate of incorporation. Correspondence of executive officers, mainly Cecilia Razovsky, 1930s. Correspondence between William Haber and Lotte Marcuse, 1939-40. File of Dr. Solomon Lowenstein. Minutes of meetings of the Finance Committee. Field reports, inter-office memoranda, financial and statistical reports. Correspondence with organizations and governmental agencies: Society of Friends (Quakers) in Vienna; Israelitische Kultusgemeinde of Vienna; Reichsvereinigung der Juden in Deutschland; Federation for the Support of Jewish Philanthropic Societies; Department of Justice; New York State Department of Social Welfare; U.S. Immigration and Naturalization Service; American Friends Service Committee; American Jewish Congress; B'nai Brith; National Council of Jewish Women. Correspondence with individuals: Max S. Perlman, William Rosenwald, Paul Felix Warburg. In addition to the general administrative records, there are thousands of case files. HEBREW IMMIGRANT AID SOCIETY - HIAS. Records, ca. 1900 - ca. 1970. 415 ft. and 851 microfilm reels. 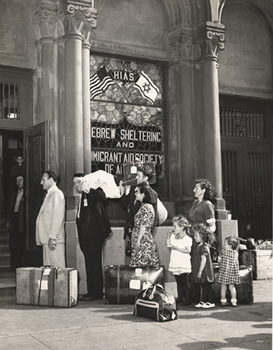 An international Jewish immigrant and refugee service founded in 1909 in New York through the merger of the Hebrew Sheltering House and the Hebrew Immigrant Aid Society. HIAS activities included financial and legal aid, transportation arrangements, educational and vocational programs, location of missing relatives, lobbying in the U.S. and other governments on behalf of individual cases. Until 1915 the HIAS confined its activities to the U.S. During World War I HIAS helped refugees in Europe and the Far East. In the period 1920-1922, HIAS established offices in Europe to assist war and pogrom victims. In 1927, HIAS joined with the Jewish Colonization Association (JCA) of London and EMIGDIRECT of Berlin to form a joint organization, HICEM, whose headquarters were in France and which dealt with European operations. HICEM was dissolved in 1945. At the end of 1953, HIAS had offices in 50 countries. 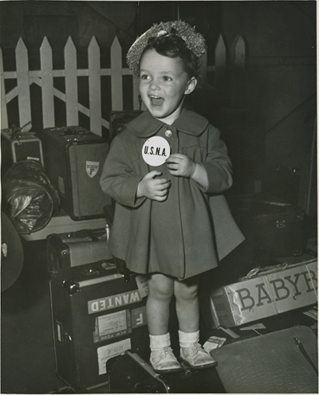 In 1954, HIAS merged with the United Service for New Americans to form the United HIAS Service. HIAS AND HICEM MAIN OFFICES, NEW YORK. Materials on immigration into the United States. Statistical reports about HIAS activities in the United States, 1936-1951. HIAS protest against the literacy test provision in the Burnett Immigration Act, 1914-1916. Materials relating to legislation on immigration, ca. 1919-1922. Materials of U.S. Senate and House Committees on Immigration. Citizens Wives Organization: petition, correspondence, 1931. Materials about the HIAS Boston branch, 1915-1922; San Francisco branch, 1915-1921. HIAS efforts to prevent deportation of Jews to Russia via Archangel, 1914-1915. HIAS activities on Ellis Island, 1914-1918. HIAS appeals from deportation orders individual cases, 1916-1920. HIAS Educational Department: Lecture Series, list of lecturers, correspondence with lecturers. Materials on Immigration into Canada. Correspondence of HIAS and HICEM with the Jewish Immigrant Society-JIAS. 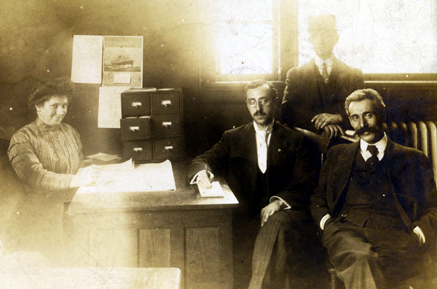 Records of HIAS representatives at the U.S. immigration Station at Ellis Island, N.Y., relating to HIAS's intercession on behalf of Jewish immigrants, mainly those who were detained or were awaiting deportation. The case files include correspondence of HIAS representatives Irving I. Lipsitch and Samuel Littman, with relatives, sponsors and with U.S. Government officials, including the Secretary of Labor. Subjects files include: cases affected by illness, Jewish holidays, missionaries, clothing for immigrants, citizenship lectures, verifications of landing. Correspondence with organizations includes United Hebrew Charities, National Desertion Bureau, Association for the Protection of Jewish Immigrants. UNITED HIAS SERVICE, MAIN OFFICE, N.Y. Established by a merger between HIAS and the United Service for New Americans in 1954 to consolidate immigration efforts. Administrative records including: UHS organization chart; minutes of committee meetings; annual meetings; by-laws; annual reports, 1954-1964; inter-office correspondence. Correspondence of Ann S. Petluck, Director of U.S. operations. Reference and resource materials on immigration such as speeches, reports, statistical materials, bulletins, clippings. Reports relating to immigration to Israel. Correspondence of UHS European headquarters in Geneva and of UHS office in Paris, Brussels, Vienna. Correspondence with UHS Latin American headquarters in Rio de Janeiro. Correspondence concerning China. Materials on Jewish Immigrant Aid Society, Canada. Records of individual cases filed by year and by card number. There are over 17,000 individual files in this series covering the years 1955-1959. Photographs relating to immigration, 1900-1960s, including: scenes of Ellis Island; HIAS offices in New York; displaced persons; immigrants; HIAS relief and immigration work in various countries, including China, France, Japan, Latvia, Poland. HEBREW TECHNICAL INSTITUTE (NEW YORK). The Hebrew Technical Institute was founded in November 1883 by the United Hebrew Charities, the Hebrew Orphan Asylum and the Hebrew Free School. It functioned as a vocational school from 1884 to 1939 and provided training in mechanical drawing, woodwork, metal work, instrument making, electricity and auto mechanics for students between the ages of 14 and 17. The records consist of class standing records, 1884-1939; roll books, 1896-1939; Graduate Center record books, 1886-1939; annual reports and catalogs, 1889-1939. JEWISH AGRICULTURAL SOCIETY - BARON DE HIRSCH FUND. The Baron de Hirsch Fund, New York, was established in 1891 by Baron Maurice de Hirsch to assist and settle Eastern European Jewish immigrants in the U.S. Its objective was to promote the development of Jewish settlements as well as trade schools. The Jewish Agricultural Society was a subsidiary of the Fund and was chartered in New York in 1900 to provide agricultural training for East European immigrants. The JAS acquired land in New York, New Jersey, Pennsylvania and Connecticut. Among its many projects was the Baron de Hirsch Agricultural School, Woodbine, New Jersey. The JAS published The Jewish Farmer, an English and Yiddish monthly. Several hundred photographs from the files of the *Jewish Farmer* depicting Jewish farm settlements in the U.S. Documents relating to the Baron de Hirsch Fund and to the JAS: by-laws, reports, certificates of incorporation, list of applicants, awards. JAS news releases, 1937-1961. JEWISH EDUCATION COMMITTEE (NEW YORK). The Jewish Education Committee was organized in 1939 in New York to coordinate a wide variety of administrative, educational and financial services to the various Jewish school systems in New York. Two predecessor organizations, the Jewish Education Association and the Bureau of Jewish Education, merged with the JEC. The schools that were served by the JEC included Orthodox, Reform, Conservative and Yiddish secular schools. Its departments offered financial aid to individual schools, helped to develop curricula and maintained teacher services such as a teacher's group insurance. The JEC also maintained the Board of License for Hebrew Teachers, as well as teachers training institutions and the Hebrew Teachers Union. Its publications included *World Over*, as well as a Hebrew magazine and textbooks, song books and arts and crafts guides The JEC department of statistics published studies in the field of Jewish education. Executive directors for the period 1939-1967 included Alexander Dushkin, Israel Chipkin and Azriel Eisenberg. The collection consists mostly of administrative records of the JEC. There are also materials from two affiliated organizations, the National Council of Jewish Education and the American Association for Jewish Education. JEC administrative materials. Circulars, 1942-1967. Staff memoranda. Minutes of committee meetings. Minutes of consultant meetings. Materials on services to schools. Reports, tests and questionnaires, proceedings of pedagogical conferences. Minutes, lectures, circulars on in-service courses. Pedagogical materials on art, dance, music, drama. Awards and contests including bible contests. Materials on services to teachers. Licensing of teachers, lists of licenses. Reports on teacher placement. Hebrew Teachers' Welfare Association. Minutes of Board of Review meetings. Materials relating to schools and organizations affiliated with the JEC: United Synagogue, New York Federation of Reform Religious Schools, Associated Hebrew Schools of Westchester, East New York Talmud Torah Council, Bronx Council, Flatbush Council. Materials relating to JEC publications. Memos and reports on adult education. Public relations materials such as press releases. Research and experimentation: surveys, statistical materials relating to Jewish education. Circulars, minutes, reports, annual conference materials, publications relating to the National Council of Jewish Education and to the American Association for Jewish Education. Materials relating to National Organization of Jewish Education, World Union for Jewish Education, Jewish Agency, Alliance Israelite Universelle. Coordinating, planning and service agency for Jewish education in the U.S. Founded in New York in 1939 as the American Association for Jewish Education (AAJE), adopting its new name in 1981. Services Jewish educational institutions through a network of national organizations and bureaus of Jewish education. Sponsored the National Curriculum Research Institute, National Board of License and other projects. Conducts statistical and educational surveys, organizes conferences and provides placement services. Established in 1939 in New York as a national advisory and coordinating agency for Jewish organizations and communities in the U.S. and Canada engaged in educational and vocational programs and job placement. Correspondence and memoranda with local Jewish vocational service agencies. Reports on occupational trends among the Jewish population. Publications issued by the U.S. Department of Labor and by Jewish vocational and counseling centers. NATIONAL CONFERENCE OF JEWISH COMMUNAL SERVICE. Organized in 1899 as the Conference of Jewish Charities, to serve as a forum and publication body for professional groups active in Jewish communal work. In the 1970s its membership included 300 groups and 2,000 professionals in all fields of communal service. The Conference holds annual meetings and publishes the Journal of Jewish Communal Service. By-laws. Constitutions. Lists of officers. Membership lists. Lists of organizational members. Reports to the Executive Committee, 1950s-1960s. General correspondence. Correspondence of the president, Philip Bernstein, 1952-1954. Correspondence relating to membership dues, elections. Financial records, budgets, taxes, payroll records. Financial records of the National Conference of Jewish Social Service. Files of NCJCS committees including Executive Committee, Budget Committee, Committee on International Jewish Social Welfare, Committee on Training in Jewish Communal Service, Committee on Professional Education. Files relating to organizations and individuals: Federation of Welfare Funds and Community Councils, National Jewish Welfare Board, National Conference of Social Work, Jewish Agency for Palestine, Association of Jewish Community Relations Workers. Correspondents include Bertram H. Gold, Maurice Bernstein, Sylvia Horowitz, Solomon Gold, Sidney Z. Vincent, Saul Schwartz. Materials relating to conventions and conferences. Conference proceedings, nominations, annual meetings. Clippings about conferences. NATIONAL COORDINATING COMMITTEE FOR AID TO REFUGEES COMING FROM GERMANY. The National Coordinating Committee was established in 1934 by the AJDC at the suggestion of the State Department. The NCC was to maintain close links with the Intergovernmental High Commission for Refugees established at the League of Nations in 1933 to deal with the problem of Jewish refugees from Nazi Germany. The NCC's main function was to coordinate the relief work of affiliated private refugee agencies in the U.S. The financial support of the NCC came mainly from the American Jewish Joint Distribution Committee. The NCC was succeeded in 1939 by the National Refugee Service which was formed to deal with the great increase in immigration from all countries of Central and Eastern Europe. NCC officers included: Joseph P. Chamberlain, chairman, who was at the same time the American member of the Intergovernmental High Commission for Refugees; Paul Felix Warburg, treasurer; Cecilia Razovsky, executive director and secretary. There were about 15 affiliated organizations which dealt with the different categories of refugees. These included the American Christian Committee for German Refugees, American Friends Service Committee, American Jewish Committee, American Jewish Congress, American Joint Distribution Committee, Emergency Committee in Aid of Displaced German Scholars, German Jewish Children's Aid, Hebrew Immigrant Aid Society, National Council of Jewish Women. Most of the NCC records cover the period 1937-1939, with a smaller proportion of the materials covering the earlier period, 1933-1936. Files of Cecilia Razovsky. Correspondence between Razovsky and NCC board members, members of affiliated agencies, and other individuals, such as Joseph P. Chamberlain, Albert Einstein, M. Feinberg, Myron Falk Jr. Correspondence between the NCC and organizations and government agencies, such as Family Welfare Association, Committee on Displaced Foreign Psychologists, Emergency Committee in Aid of Displaced German Scholars, National Council of Jewish Women, General Committee of Immigrant Aid at Ellis Island and New York Harbor, State Department. Statistics of activities of the NCC and its constituent agencies. Periodic statistical reports from local agencies in Baltimore, Boston, Buffalo, Chicago, Cincinnati, Cleveland, Hartford (CT), Rochester (NY), San Francisco and other cities. Reports by the Jewish Family Welfare Society. Reports by the Brooklyn Section of the National Council of Jewish Women, 1937-1939. Periodic statistical reports of arrivals from Germany and their destination by cities, 1938. NCC Manual on Immigration, 1939: immigration regulations, visas, affidavits. Manual of Mental Examination of Aliens. SS "St. Louis", 1939: Passenger permits and names, names of relatives. Cash journals, clippings. National U.S. organization, founded in 1893 by Hannah Greenbaum Solomon. It ran a variety of social services which included programs for needy families, vocational guidance, services for immigrants. After World War II, the National Council of Jewish Women ran a Search Department for Jewish survivors and tried to locate American relatives. Correspondence, reports and forms relating to the search activities of the NCJW during the years 1946-1950s. NATIONAL DESERTION BUREAU, NEW YORK. Agency organized in 1905 which provided assistance to Jewish immigrant women who had been deserted by their husbands. The name was later changed to Family Location Service. Was active until 1966 when it merged with the Jewish Family Service. About 20,000 files on individual cases of desertion of families by husbands. Index card file of clients, alphabetically arranged. Established in 1939 in New York in order to help refugees from Europe fleeing Nazi persecution. The NRS was the successor agency to the National Coordinating Committee which had been formed in 1934 as an umbrella organization to coordinate the work of affiliated agencies engaged in immigrant relief work. The NRS program included: a migration service which dealt with affidavits, sponsorship, visas and other legal aspects of the immigration process; financial aid; a placement service; vocational and retraining programs; a capital loan service; resettlement to smaller communities; and an Americanization program. The NRS also communicated with the U.S. Government on matters relating to immigration legislation and special cases. Officers of the NRS included Joseph P. Chamberlain, Chairman of the Board; William Rosenwald, President; Paul Felix Warburg, Secretary; Albert Abramson, Arthur D. Greenleigh. The Executive Committee included Harry Greenstein, William Haber, Joseph C. Hyman. In 1946 the NRS became the United Service for New Americans. Records of NRS Executive Offices: Data on officers and members of the Board of Directors. Directory of NRS professional staff. Minutes, agendas and reports of Board meetings. NRS by-laws, charter. Minutes of Executive Committee meetings. Monthly reports and memoranda of Executive Directors. Files of executive officers: William Haber, Ann S. Petluck, Cecilia Razovsky. Includes correspondence, memoranda, reports, case files. Files of Albert Abramson, Stella Baruch, Milton Feinberg, Arthur Greenleigh, Augusta Meyerson, Ephraim R. Gomberg. Records of NRS departments and committees: Social and Cultural Department, Publicity Department, Division for Social Adjustment, Steering Committee - Joint Supervisory Group, Community Relations Department, Employment Department, Department of Research and Information, Migration and Alien Status Committee, Retraining Committee, Technical Advisory Committee, Employment and Retraining Division, Migration Department, Resettlement Division, Relief and Case Work Department, Family Service Committee, Central Reception and Information Service, Department of Economic Adjustment, Subcommittee on Reclassification, Speakers Bureau. Correspondence and materials relating to organizations affiliated with the NRS: American Committee for Christian German Refugees, American Friends Service Committee, American Jewish Committee, American Jewish Congress, AJDC, Independent Order of B'nai Brith, Federal Council of Churches of Christ in America, Emergency Committee in Aid of Displaced Foreign Scholars, Emergency Committee in Aid of Displaced Foreign Physicians (also Psychologists, Social Workers, Scientists), German Jewish Children's Aid, National Council of Jewish Federations and Welfare Funds, Musicians Emergency Aid Bureau, National Council of Jewish Women. Correspondence and materials from unaffiliated independent organizations: Jewish Family Welfare Society, Hebrew Free Loan Society, Jewish Social Services Association, Jewish Telegraphic Agency, Jewish Theological Seminary, Jewish War Veterans, Jewish Welfare Board, Refugee Economic Corporation, Federation for the Support of Jewish Philanthropic Societies, National Conference of Social Work, United Jewish Appeal, United Palestine Appeal, Council of Service to Foreign Born, War Refugee Board, Jewish Refugee Committee in England, Refugee Children's Movement. Correspondence with and materials from: U.S. immigration authorities and government offices including U.S. Department of Justice, Labor, Agriculture, Interior, State. Financial records: budgets, payrolls, grants, loans, accounting records. Correspondence with Milton Feinberg on financial matters. Topics related to administrative activities, the immigration settlement and resettlement process, financial and fundraising activities and publicity. Administrative activities: formation of the NRS, its structure and organization, as well as the final months of NCC activities. Division of responsibility between NRS and National Council for Jewish Women. Publicity activities: materials of the Speakers Bureau, bulletins, newsletters. Fund-raising projects. Immigration process: immigration laws and regulations, alien registration, visas, temporary visas, affidavits, deportations, illegal entrants, ship arrivals and departures, statistical studies; refugees from Hungary, Italy, Czechoslovakia, Spain, Danzig; Camp Kitchener in England. Resettlement process: resettlement projects throughout the U.S. by city and by state; placement, vocational training and special programs for refugees, especially foreign physicians, scholars, scientists, social workers, psychologists, musicians. Social and cultural adjustment activities. Materials on special refugee camps in the U.S. such as Fort Ontario, Oswego, N.Y.; internment camps in Texas, Tennessee, Oklahoma and other states. Correspondents include: Shalom Asch, Paul Baerwald, Jacob Billikopf, Jacob Blaustein, Joseph P. Chamberlain, Daniel Charney, Milton Feinberg, Joseph C. Hyman, Alvin S. Johnson, James G. McDonald, William Rosenwald. OSTROWSKY, ABBO (1885 - 1975). Instructors and students from the Educational Alliance Art School, ca. 1920s. Seated: Sarah Vivas, Abbo Ostrowsky, Dina Melicov, Ella Ostrowsky. Standing: Chaim Gross, Leo Jackson, Peter Blume, Elias Jackson. Papers, ca. 1900 - 1975. Painter, graphic artist, educator. Founded the Educational Alliance Art School and served as director and instructor. His works were exhibited in galleries across the U.S. and in England and France. Born in Elizavetgrad, Russia. Settled in New York in 1908. The papers consist of correspondence, exhibition catalogs, reports, newspaper clippings, publicity releases, photographs and art work relating to the artistic career of Ostrowsky as well as to his involvement with the Educational Alliance. Correspondence with museums such as the Baltimore Museum of Art, the U.S. National Museum, Library of Congress, Metropolitan Museum of Art, Bezalel Museum in Jerusalem, Tel Aviv Museum, pertaining to sales and exhibitions of Ostrowsky's works. Correspondence with Stanley M. Isaacs, president of the Educational Alliance, and Edith Isaacs. Materials on Stanley Isaac's political career 1937-1961. Correspondence with the alumni of the Art School including the Soyer brothers, Leonard Baskin, Elias Newman, Chaim Gross, Peter Blume and Sir Jacob Epstein. Correspondence of the Educational Alliance Art School. Reports on the Art School's activities, lecture announcements, exhibitions. Ostrowsky's lectures on Elementary Drawing. Materials relating to exhibitions and art sales held at the Educational Alliance. Correspondence with Maurice Glickman, Jacob Epstein. Materials on the student organization of the Art School, The Palette Club. Correspondence with the American Federation of Arts, with various art councils and neighborhood settlement schools. Materials on the National Federation of Settlements. Materials on the various art programs of organizations affiliated with the United Neighborhood House. Exhibition catalogs. Original drawings by Ostrowsky in pencil as well as in pen and ink. Works include prints and etchings of Maine and France and of the excavations for New York's Second Avenue Subway as well as a portrait painting of Abraham Liessin. 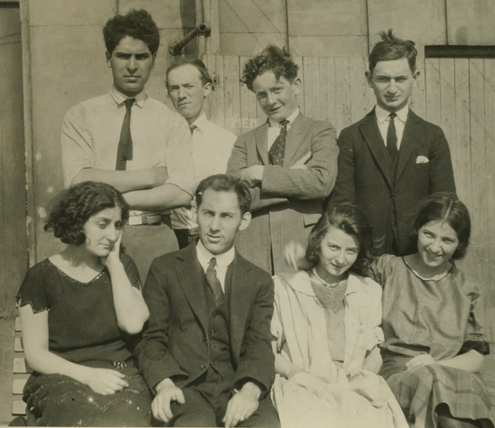 Photographs of the Educational Alliance and University Settlement: students' art works; students and faculty including Abbo Ostrowsky, Chaim Gross, Jacob Epstein, Peter Blume. Clippings pertaining to Ostrowsky's career, the school, well known alumni. Manuscript of autobiographical works by Ostrowsky. Diary entries, 1924. Art works have been placed and cataloged in the Art Collection, RG 101. Graduate of the Woodbine Agricultural School, Woodbine, New Jersey. Founder and president of the Toms River Community of Jewish Farmers, Toms River, New Jersey. Pincus lead the Community from 1925 to 1948. The Community, established shortly after World War I with the encouragement of the Jewish Agricultural Society, was primarily a poultry center. It was comprised of independent farmers united through economic cooperation such as cooperative purchasing. The community reached a peak membership of 360 farmers but by 1960 more than half of the homesteads had been abandoned. 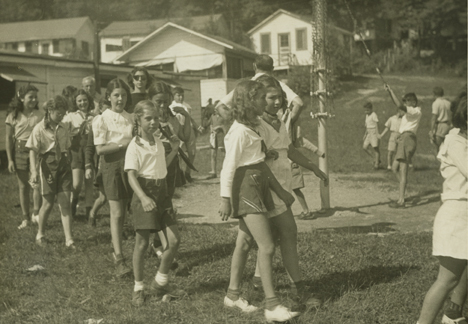 Summer camp where the speaking of Yiddish was encouraged. Founded in 1919 and owned by the Sholem Aleichem Folk Institute. Located near Rhinebeck, New York. Directed by Leibush Lehrer from 1922 to 1958. The camp was closed in 1979. 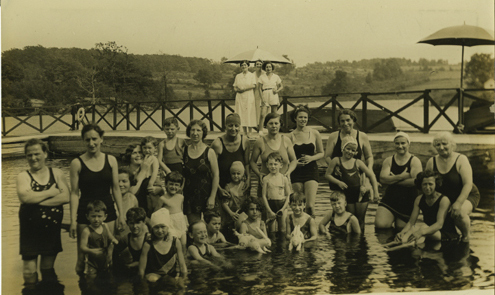 Photographs of campers and camp life, 1920s-1970s. Films of camp, 1930s-1960s. Camp songbooks. Play scripts. songs, cheers, parodies, newspapers, speeches, correspondence; art albums; daily schedules of activities. Established in 1874 to coordinate relief and charitable work of several independent groups in New York City. In 1926 changed its name to Jewish Social Service Association. Records of the United Hebrew Charities and affiliated organizations. Minutes of the Executive Committee, 1890-1902. Annual reports, 1882, 1895, 1903, 1905. Minutes of the Hebrew Benevolent Fuel Association (originally named the Young Men's Hebrew Benevolent Association), 1849-1907. Minutes of meetings of the United Hebrew Charities, 1908-1925 and the Jewish Social Services Association, 1926-1942. "Report on the Jewish Relief Agencies in New York City." Additional annual reports of the United Hebrew Charities are in the YIVO Library. The USNA was organized in New York in 1946 through a merger of the National Refugee Service and the Service to Foreign Born of the National Council of Jewish Women in response to the postwar influx of Jewish refugees into the U.S. The activities of USNA, similar to those of its predecessor organizations, were expanded to deal with the increase in immigration and included stages of integration into American society. USNA worked on resettlement of immigrants throughout the U.S., locating relatives, providing port reception services, shelter, financial aid, placement services, vocational training, and assisting in the Americanization and naturalization process. In 1949 the New York Association for New Americans was established to deal specifically with New York immigration while USNA continued to function on a national level. In 1954, USNA merged with the HIAS to form the United HIAS Service. NYANA remains an independent organization to the present day. USNA officers included Edwin Rosenberg, Joseph E. Beck, William Rosenwald, Walker H. Bieringer. Records of executive offices and of the administration. By-laws of USNA. Functional charts of the NRS, USNA, and proposed charts for merged organizations. Materials of the Policy Committee. Minutes of meetings of Department and Division heads. USNA conference materials. Reports to the USNA annual meetings. Executive correspondence including files from the offices of Clarence M. Weiner, Beatrice Behrman, Ann S. Petluck, Ann Rabinowitz, Arthur Greenleigh, Fred Fried, Clara Friedman, Ida S. Nameroff. Records of the Migration Department: circulars, memoranda and reports; correspondence of Ann S. Petluck, department director. Topics include: bonds, visa regulations, displaced persons, quotas, immigration policies and problems, Displaced Persons Act of 1948, deportations, U.S. Displaced Persons Commission, Visa Division of the State Department. Correspondence with Immigration and Naturalization Service. Memoranda to and from the Port and Dock Department. Materials on the Oswego refugee shelter; Refugee Relief Act, 1953; President's Committee for Hungarian Refugee Relief, 1956. Government publications, such as manuals or reports by the INS, the Intergovernmental Committee on Refugees (ICR), and UNRRA. Records of the Community Relations Department: field reports, arranged by state. Records of the Religious Functionaries Department: minutes of meetings, studies, reports. Records of the Research Department: manuals used for different stages of refugee work, including those produced by the Relief Disbursement Division, Religous Functionary Division. Studies, statistics relating to immigration on topics such as corporate affidavits, job placement, physicians, budget, home economy. Monthly and other reports of out-of-town agencies to the Division of Statistics and Research. Records of the Service to Foreign Born Division of NCJW Location and Immigration Services, 1946-1951. Individual case files. Files from the office of Ruth R. Becker on the separation of NYANA from USNA. Materials on the establishment of NYANA in April 1949. Records of the Accounting Department and Clerical Services. Financial and accounting records. Files of the office of Gertrude M. Ruskin, Comptroller. Audit reports. Publicity materials: speeches, publicity releases, *USNA News*. Files of Anna G. Kaufman, Publicity Director. Special Information Bulletin, Interpreter Releases. Reference materials: clippings from a wide variety of newspapers relating to immigration and the Jewish problem.